The bracelet is approximately 5 1/2 inches long. Silver findings. 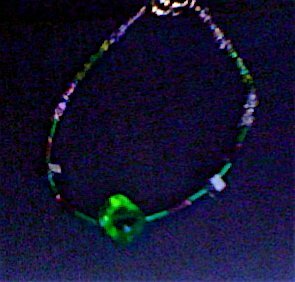 Green and purple glass seed beads. Purple and green glass bugle beads. Green glass beads. Hemitite beads. It is also part of a set, but can, of course, be bought seperatly.